The Brazilian classification board has rated Gears of War’s Xbox One remake and it looks like the remaster is officially happening. The Brazilian classification board calls the Xbox One remake Gears of War: Ultimate Edition. It notes the game has a 2015 production date and the publisher is Microsoft Studios. No other additional information about the game has been given. Although the classification board has given the remake a rating, there still hasn’t been much heard from official sources about the remake. It has been rumored over the past couple of weeks that a remake for Gears of War on Xbox One is going to be made. It’s being said the remake will only be for the original game only. It appears the other games in the franchise are not getting the remastered treatment. It was also mentioned the Gears of War Xbox One remake will be developed by Splash Damage. The UK developer recently listed job vacancies that hinted they were looking to make a game based on a popular franchise. This makes sense as we know Black Tusk Studios is working on Gears of War 4 for Xbox One. Black Tusk Studios will be working on the legit new title from the franchise. After rumors of the Gears of War remake began making the rounds, both fans and critics speculated on whether or not re-doing the original game would be a good thing, even if it was just an upgrade in visuals. 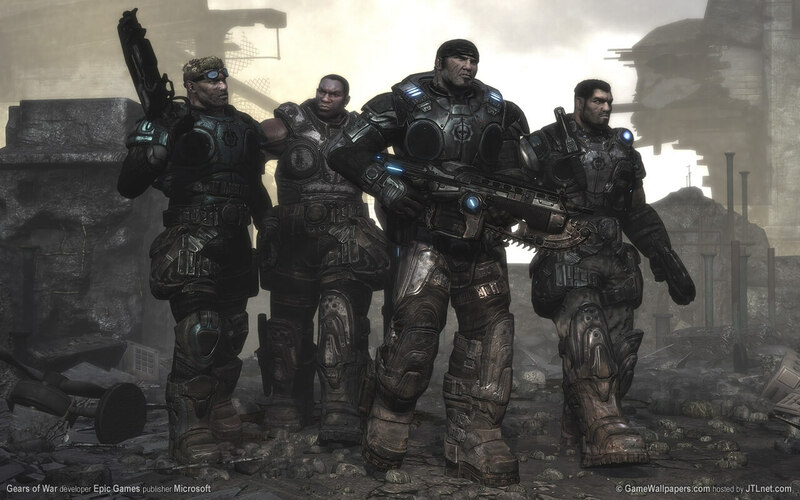 Rumor on the street is that this Gears of War 1 remake has all of the same mechanics. Just want to get my hands on it so I can confirm it. Son, when Grandpa Microsoft presents you with a remake of the worst Gears of War just remember to act grateful. Hopefully they remake ALL the Gears of War games for #XboxOne. Gears is hands down THE BEST single player/story game!! As mentioned above, there has been no official word about the remake, although E3 is just around the corner, so we may indeed be hearing more about the remake then, with the possibility of some sort of trailer showing off any improvements that will be made to the game. What do you think of a Gears of War remake? Is there anything in particular you’d want to see added to or removed from the game? Let us know!